Soviet photojournalist Ivan Shagin (1904-1982) became one of the leading photojournalists of the USSR by the end of the 1930s. He was shooting war time from the first to the last day, as a front line photo correspondent of “Komsomolskaya Pravda”. His photo chronicles include genre scenes on the streets of Moscow with the announcement on the radio about the treacherous attack of Nazi Germany to the hoisting of the Victory Banner at the dome of the Reichstag. He photographed major combat operations on almost all fronts. Since 1950, Ivan Shagin worked in publishing houses “Izogiz”, “Soviet Artist”, “Art”, “Progress”, APN Novosti, and “Pravda”. 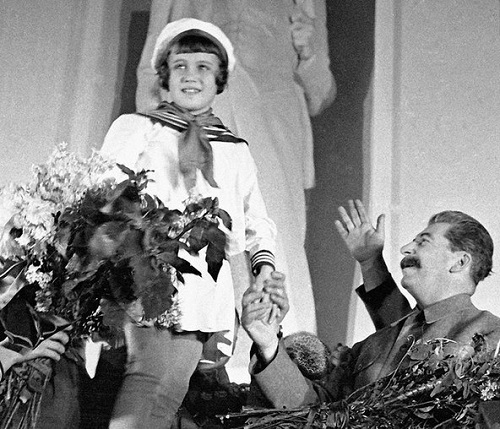 He was awarded the Order of the Patriotic War of II degree, and several medals of the USSR. 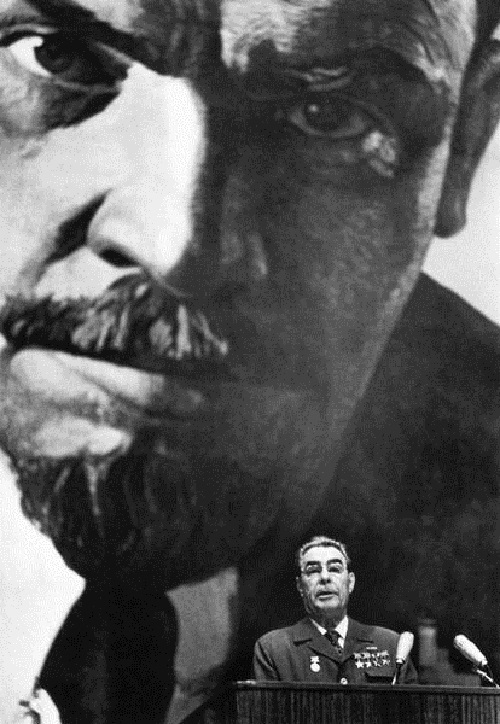 Soviet photographer Mikhail Ozersky (1898 – 1968) – member of the USSR Union of Journalists (1959), photojournalist of the magazine “Ogonyok” (1929), later – Photochronicles TASS. He worked in the newspaper “Pravda”, during the World War II was a photographer for the same newspaper. 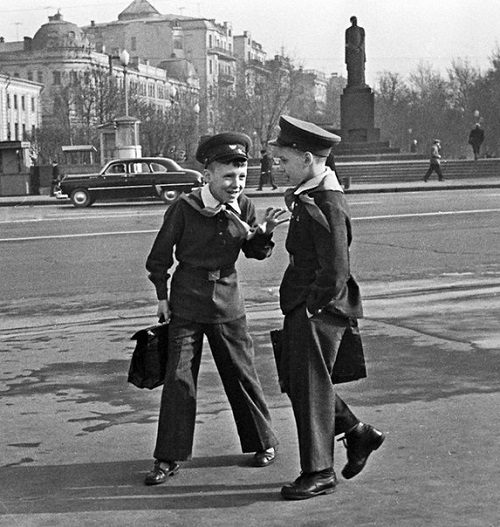 Since the 1950s – the photographer of RIA-Novosti. He created a series of reportage portraits of scientists, writers, and artists: Vladimir Mayakovsky, Alexei Tolstoy, Tsiolkovsky, Paul Bazhov, Nikolay Okhlopkov, Dmitry Shostakovitch, Maya Plisetskaya, Marina Semenova and others. The world-famous became his picture “Maxim Gorky seeing off Romain Rolland”. During the World War II, Soviet photographer Dmitry Baltermants (May 13 1912 – June 11, 1990) was a war correspondent of newspaper “Izvestiya” and army newspaper “To crush the enemy.” Dmitry Baltermants worked on different fronts with his camera. He was wounded twice. Since 1954 worked as a photo journalist at the most popular in the USSR weekly illustrated magazine “Ogonyok”. His photographs decorated walls of homes, like paintings. Dmitry Baltermants got the glory and recognition of such European patriarchs as Henri Cartier-Bresson and Marc Riboud, international exhibitions and membership in the World press photo jury. Dmitry Baltermants invented his own formula of socialist realism – a report plus staged photography. At this intersection there were no farmers in white shirts, but concentrated life. Baltermants is considered one of the pioneers of color, his business card – not red ties but wax Stalin in a coffin, surrounded by a rainbow of shamelessly alive colors. With his classic military photos, he gave the world not the pathos of military parades, but a series of “How it was” – faces of the prisoners, naked human pain, scattered on the ground corpses and stooped backs of alive. Soviet photographer Dmitry Baltermants created documentary evidence of the tragedy of the war. Soviet photographer Anatoly Boldin – Member of the Union of Photographers of Russia, honored worker of the Creative Union “Photo art”, an honorary member of the photo club “Novator”. Anatoly Boldin was at the forefront of the domestic club movement, Chairman of photo club “Novator” in 1970-1979 and 1981-1991, respectively. His works were published in the newspapers “Moskovskaya Pravda”, “Moskovsky Komsomolets”, «Soviet photo» magazines, photo-revue “Photography”. Anatoly Boldin – one of those who stood at the origins of the club movement of Soviet photography. Anatoly Boldin was born in July 29, 1937 in Moscow. In 1956 he entered the Moscow Higher Technical School named after Bauman (MHTS), Instrumentation Department. In 1958, in MHTS was founded Photo Club, the organizers of which were then known photographers B. Azarov and B. Telezhnikov. Anatoly Boldin became a member of the club and worked as a photojournalist in the student newspaper “Baumanets” before graduation. 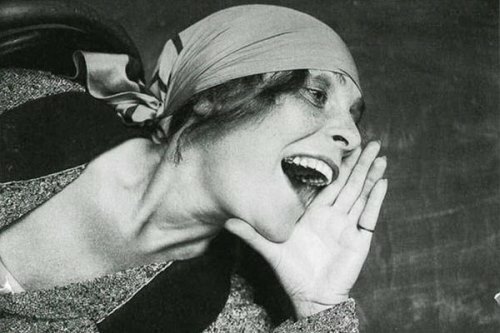 Most photos his photos Soviet photographer Alexander Rodchenko created in the late 20’s – 30’s of the last century. At that time he was mainly worked in magazine photo. Together with Varvara Stepanova, he creates one of the first thematic photo albums on the history of the USSR. In particular, the Red Army, and the socioeconomic development of the Central Asian republics of the USSR. 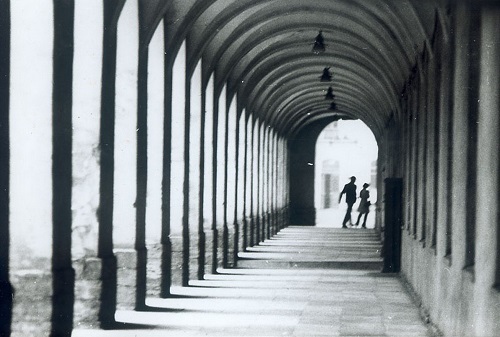 At the same time, the Soviet photographic art reached its peak. And it was no accident. Photographers were able to depict the unprecedented in its scale industrialization processes to depict a grand process of the socialist transformation of the country and society. 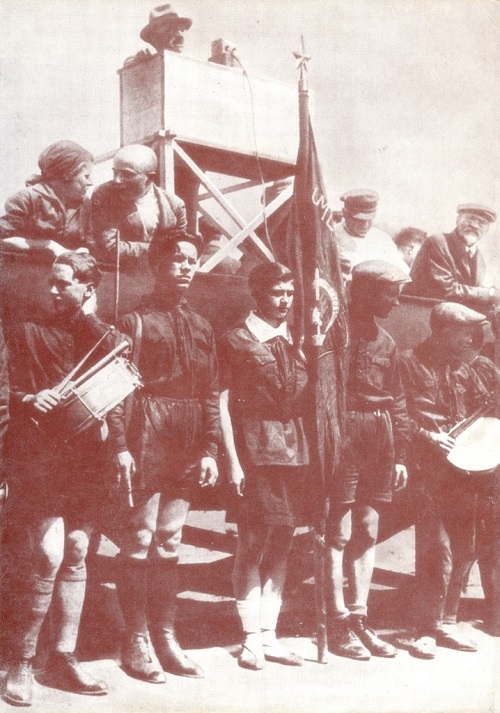 In the editorial column of the first famous magazine “USSR in Construction”, with which Rodchenko constantly collaborated as a photographer and designer, photograph was proclaimed one of the main types of Soviet art, displaying socialist construction in the dynamics. At the end of the 1970s Soviet photographer Ljalja Kuznetsova shot one of the gypsy camps in the USSR (in Turkmenistan), and later her gypsy series continued in Odessa steppes. 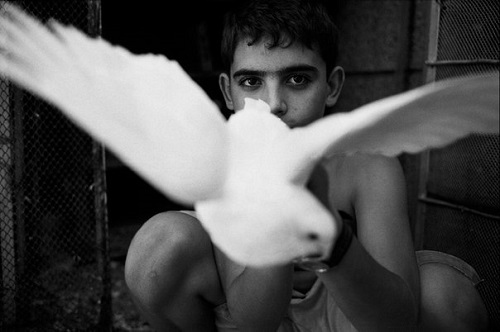 “When they say that I worship free life of gypsies or something like that, I think, a photograph is kind of self-portrait of the photographer. When I mastered the camera, learned how to develop film, how it is printed, I began to search frames, conformable to my heart. Of course, for any of the rights of Roma, I did not fight, I just realized that in our society, they are deprived of many rights. Most of them are people who go to the horizon and the horizon moves away from them”.